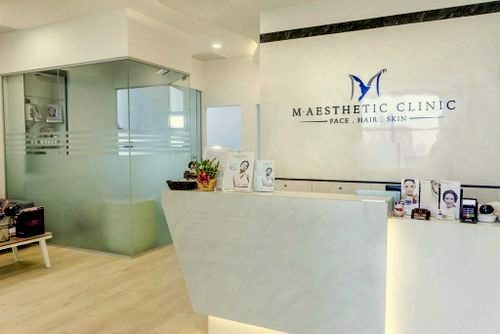 Premier aesthetic clinic M-Aesthetic Clinic operates at Singapore’s Royal Square – Novena, at 101 Irrawaddy Road. The clinic was founded on the philosophy of delivering the most effective aesthetic treatments for their patients. In addition to pursuing excellence in its treatments, M-Aesthetic Clinic is strict to provide only evidence-based therapies in order to ensure the utmost safety of their patients. M-Aesthetic Clinic treatments utilize the latest technologies and products in everything from administration of Botox or filler applications, the latest and most effective Thread Lift -techniques to more intensive laser, radiofrequency and HIFU ultrasound treatments. …Jawline Sculpting & Facial Slimming, Botox Jaw Face Slimming, Chin Fillers, Cheek Augmentation, Smile lines / Nasolabial Fold, Eye Bags / Dark Eye Circles, Lip Augmentation, Non-Invasive Neck Lifting, plus Non-Invasive Brow Lifting. …Melasma treatments, Pigmentation treatments, Large Pores treatments, Skin Rejuvenation & Tightening, Skin Booster PLUS (Advanced Formula), Stretch Marks treatments, as well as Tattoo Removals. Some of the core treatments / technologies are fillers, Botox, eCO2 Advanced Fractional Laser, Venus Viva Radiofrequency, lasers, skin lasers, Ultrasound / HIFU Facelift, chemical peels, and MSkin products. The official Facebook brand page for M-Aesthetic Clinic is available at www.facebook.com/MAestheticclinic. M-Aesthetic Clinic’s Facebook page is a great resource for learning more about the available treatments, solutions to specific problems, and much more.